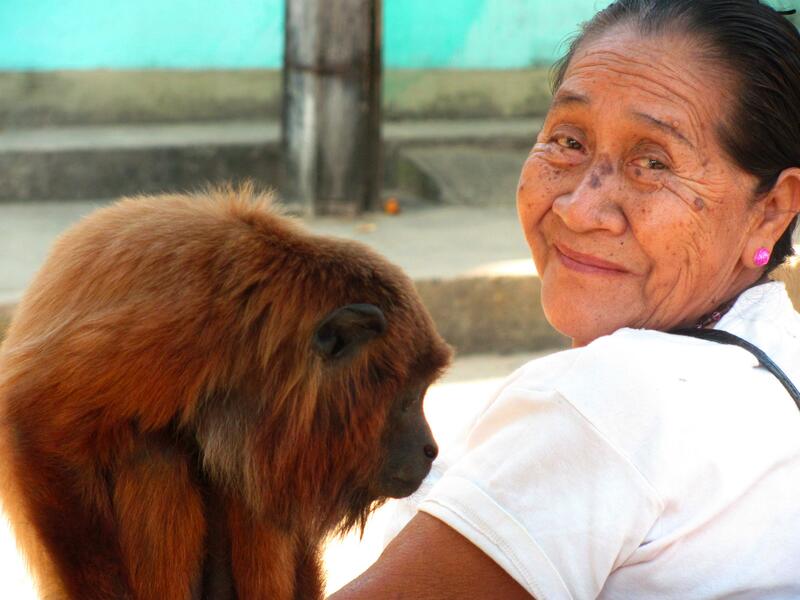 Wandering the streets of the small town of Rurrenabaque in Bolivia I spotted this scene. 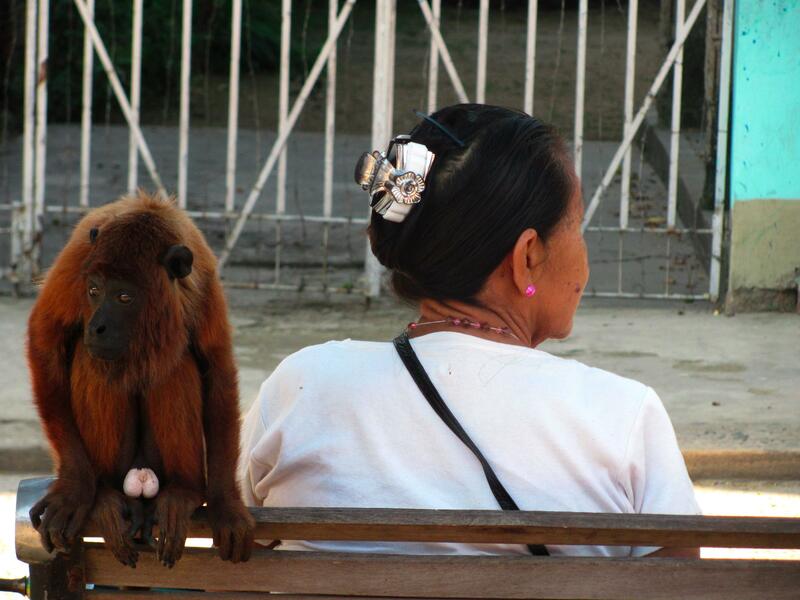 I grabbed my camera to capture the juxtaposition; woman and monkey, back to back. As the shutter clicked she sensed my presence and swiveled her head over her left shoulder. I got the second shot and a few nice minutes of conversation too. City spokesman and influence peddler. Man carries a box of baked treats from Pastelería Ideal —pehaps Mexico Cityʼs most famous bakery / cake shop — on his head. 51,245 page visits. Please come again.